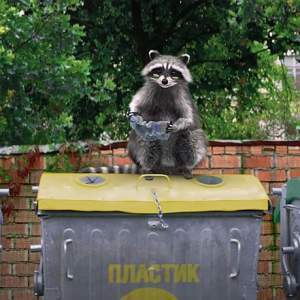 This October, Belarusian President Alexander Lukashenka complained about “mountains of rubbish in Belarus visible from space.” Noting a particular problem with the accumulation of rubbish in the capital, the president urged the development of new long-term approaches to waste management. Annually, Belarus produces nearly 4 million tonnes of municipal solid waste alone. In 2016, it buried 84 percent in landfills, recycling only about 16 per cent of it. While this rate is moving closer to EU levels of recycling, the effective sorting of waste to separate additional recyclables lags behind. Most of Belarus’s rubbish is sent to overloaded landfills. Surprisingly, private Belarusian recycling facilities have to import waste from abroad to keep working at full capacity. This is because Belarusian Housing and Communal Services hesitates to give up its monopoly on garbage collection. In recent years, Belarus has taken steps to commit to a zero-waste economy. Since 2015, the Target99 campaign has been actively promoting the sorting of rubbish in an effort to maximise recycling rates. In 2012, Belarus recycled only 10 per cent of waste materials, while in 2015 this figure rose to 15.6 per cent. The rates of traditional recycling are moving closer to European figures, according to Natallia Gryncevich, director of the state-run enterprise Secondary Resource Operator. 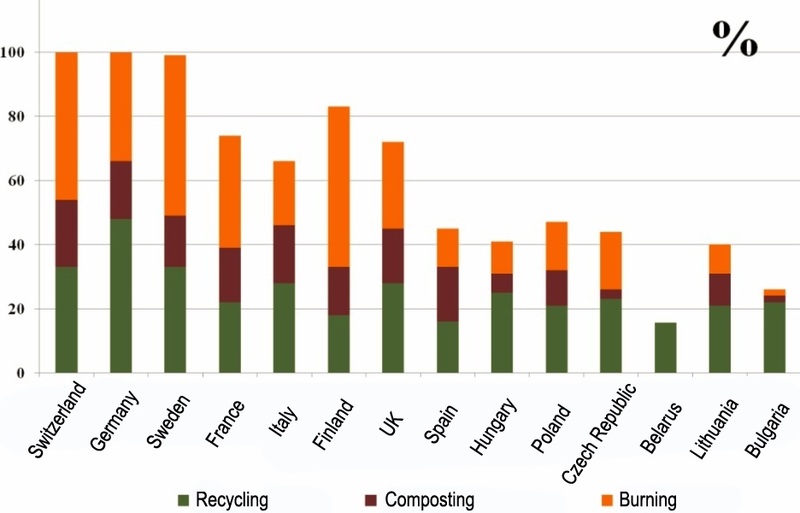 Yet Belarus still does not implement a wider variety of methods in waste management, including organic waste composting and the use of solid waste as fuel in power plants. Currently, Belarus sorts municipal solid waste into four groups: paper, plastic, glass and all other unsorted waste. However, facilities lack the capacity to recycle a number of materials. For instance, there are no recycling options for clothing items or Tetra Pak cartons. The latter end up in landfills or abroad. The situation with clothing is less critical, since ‘free’ markets, donation drives and online sharing communities offer a better alternative to unsorted waste containers. On a positive note, recycling practices are slowly growing. For instance, BelVTI, a company specialising in recycling electrical components, has recently pioneered recycling of batteries and launched its own eco-taxi service, picking up used equipment for free. In the future, Belarus plans to introduce a deposit-return system for glass, PET bottles and aluminium cans. Economic incentives for the population would likely improve waste separation. 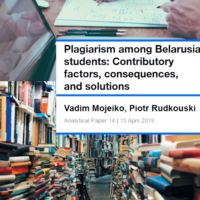 In the recent years, Belarusians have been actively developing eco-friendly habits. 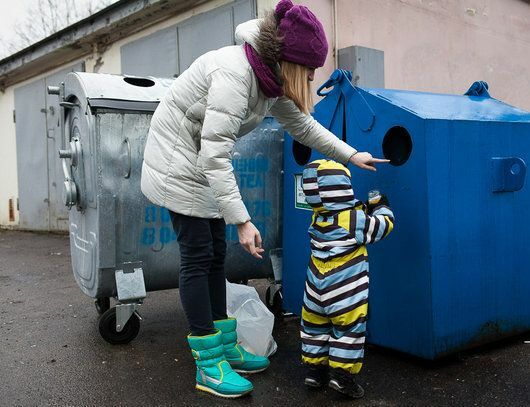 According to a survey by the Center for Environmental Solutions on the ecological behaviour of Belarusians for the period of 1990–2015, currently 65–70 per cent of the population separate waste, while another 12 percent are keen to start doing it. In Belarus, the Housing and Communal Services Ministry is responsible for all waste management. In 2012, it established the Secondary Resource Operator, a state-run enterprise, currently acting as the sole intermediary between waste collection and recycling companies. According to the director of the Waste Sorting Station Zapadnaija, Dzmitry Kuchuk, the Housing and Communal Services Ministry profits from its monopoly on waste collection and transportation. This process does not require a lot of resources, yet brings in a stable income for the state. The Housing and Communal Services Ministry, as a sole provider, does not have incentives to minimise its expenses and is entitled to additional subsidised funding from local municipalities. This results in restrictive conditions for private business, and eventually even harm for the environment. From 2015–2016, private company EcoFlekS got into conflict with Orsha municipality over waste resources. EcoFlekS wanted to collect PET-bottles from a local landfill. Municipal powers refused permission, fearing that a private secondary materials supplier could compete with its own garbage sorting facility. Yet according to estimates, nearly 95 per cent of all plastic bottles in Orsha ended up in a landfill. As greenbelarus.by reports, the next link in the chain, Belarus’s largest PET-bottle recycling company, RePlus-M, could have profited from a better supply of input materials. For 12 years, RePlus-M, a project supported by Austrian investment, has been struggling to work at a full capacity. Belarusian authorities are unwilling to give up their monopoly on waste collection. RePlus-M must to import nearly 30–40 per cent of its plastic waste from abroad. Cooperation with foreign investors still proceeds at a snail’s pace. In 2010, Minsk municipal authorities signed an agreement with German company Remondis to establish a joint waste management company, Remondis Minsk. While Remondis pioneered the public-private partnership in waste management, for several years its tasks remained limited to collection and transportation of waste. Only in 2017 did Remondis finally announce plans to open a facility to recycle biodegradable and construction waste near Minsk. Existing sorting and recycling facilities in Belarus lack the necessary capacities for the current levels of waste production. For instance, only three waste sorting facilities operate in Minsk, which is insufficient to process all the capital’s waste. The lion’s share of rubbish goes to landfills. In October 2017, speaking at the Republican Seminar on the Development of Communal and Housing Services, the Belarusian president addressed the need for modernising landfills and exploring new ways of managing waste, including the recycling or burning of waste to satisfy energy needs. Over 90 per cent of landfills in Belarus were built in Soviet times. Maximum capacity will soon be reached and their continued use does not guarantee safety. Currently, the National Strategy for Solid Municipal Waste and Secondary Materials Management, adopted in 2016 for the period up t0 2035, outlines priorities for waste management in Belarus. It focuses on setting up a bottle deposit return system, closing rubbish chutes in residential buildings and introducing composting schemes. Belarus also has plans to establish the production of refuse-derived fuel (RDF) for industry and to build its first incineration facility near Minsk. However, experts warn that an incineration facility might result in additional pollution and high operating costs. According to a spokesman from Greenpeace Russia, Alexey Kiselev, Belarus lags behind the EU in separating waste, which means a higher likelihood of toxic or dangerous waste particles being incinerated or becoming a part of RDFs. In this respect, investing in waste prevention, the promotion of ecological behaviour and the liberalisation of recycling processes emerge as more sustainable alternatives. 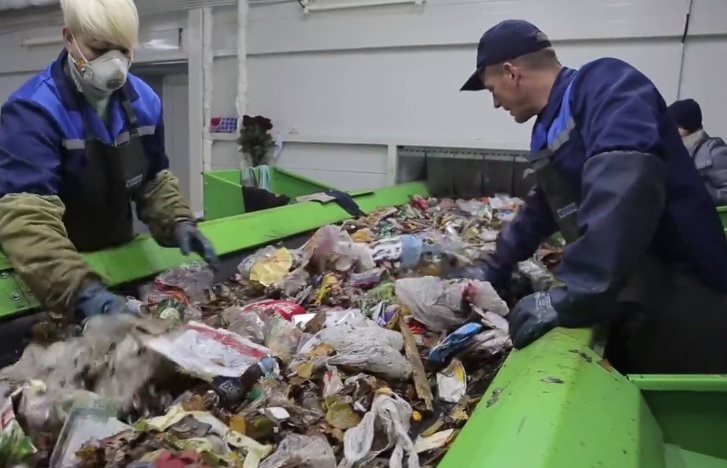 To ensure effective recycling, the main tasks for Belarus is to bring the protectionism of the state-run waste management agencies to an end and to remove restrictive regulations for private business. This step would ensure fair competition, better quality services and, last but not least, less harm to the environment. 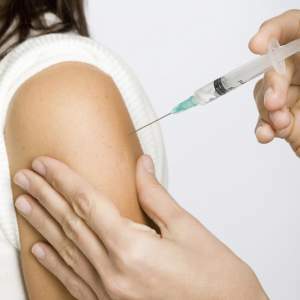 Anti-Vaxxers in Belarus: time for legal punishment? On 30 November, the Belarusian Republican Centre for Hygiene, Epidemiology and Public Health announced that 3.7 million Belarusian citizens had voluntary vaccinated themselves against flu. This number proves that Belarusians still generally trust their public health institutions despite a growing anti-vaccination sentiment in the blogosphere and social networks. At the same time, the Ministry of Health should adequately address anti-vaccination prejudices, which quickly spread via the Internet. A slight decrease in national herd immunity will inevitably lead to outbreaks of dangerous diseases. To do so, the authorities might introduce legal punishments for non-compliance with the national vaccination schedule. At present, vaccines, rather than diseases, are the focus of numerous online and offline discussions in Belarus. The rapid penetration of the Internet has brought a powerful, yet pervasive platform for those who are against vaccinations, also called anti-vaxxers, to spread their message. Numerous pseudoscientific online sources work to undermine parents’ confidence in and ask questions about the necessity of vaccinations. In Belarus, certain “mums’ blogs” and social media groups have emerged advocating for non-vaccination and spreading unsupported rumours about vaccines’ side-effects. Why might Belarusian “mums” object to vaccinations? Some of them have experienced certain post-vaccination complications, while others simply do not possess the basic knowledge about the subject. A number of “mums” have overheard rumours of possible links between the BCG-vaccine (used primarily against tuberculosis) and lymphadenitis, or the MMR-vaccine (used to prevent measles, mumps, and rubella) and autism. Consequently, these “mums” use blogs, forums, and social media groups to discuss their experiences and exaggerated fears. It is important to stress that Belarusian “mums” are not the only ones in the post-Soviet space objecting to vaccinations. A range of similar social media groups and forums have emerged in Kazakhstan, Russia, and Ukraine. Muslim preachers, especially in the Central Asian republics, advocate for non-vaccination on religious grounds and link female infertility to post-vaccination side effects. According to Kyrgyzstan’s Ministry of Health, the growth of anti-vaccination prejudices among the Muslim population caused an outbreak of measles in 2015. It appears that anti-vaccination sentiment has spread rapidly across the Commonwealth of Independent States (Armenia, Belarus Kazakhstan, Kyrgyzstan, Moldova, Russia, Tajikistan, Turkmenistan, Ukraine, and Uzbekistan). The growth of anti-vaccination prejudices has prompted several EU’s states, including France, Germany, and Italy, to toughen their laws on compulsory vaccination. Thus, Italy has introduced fines up to 500 euro for non-compliance after a measles outbreak in spring 2017. Belarus, on the other hand, does not fine or punish for non-compliance with the national vaccination schedule. The Belarusian vaccination schedule covers hepatitis B, polio, tuberculosis, diphtheria, tetanus, whopping cough, measles, parotitis, rubella, haemophilus infection, streptococcus pneumonia, and flu. In accordance with the Belarusian vaccination schedule, a newborn child receives its first vaccination against hepatitis B within twelve hours since the time of birth. The remaining vaccinations are predominantly conducted within the first year of life. Vaccines and vaccination procedures are free of charge. For those parents who consciously object vaccination, a special exemption clause exists. A parent must sign an official refusal letter in the presence of medical workers. In Belarus, such a procedure takes no more than two working days. Sometimes medical workers overtly express their discontent and warn of school enrolment problems. Yet, unlike Italy, legislative sanctions do not apply to those Belarusian parents, who consciously object vaccination. Non-vaccinated children legally attend public nurseries and secondary education institutions. They may be banned from classes only in case of an epidemic. Interesting comparisons can be drawn with Moldova and Ukraine, where non-vaccinated children cannot attend state-run nurseries and schools. In Ukraine, legislation conflicts with the Constitution, which grants a universal right to education, while national healthcare legislation prevents the unvaccinated from attending school. Several parents have already appealed to the supremacy of Ukrainian Constitution over national health care law. In Moldova, human rights lawyers lost a similar legal dispute. The Moldovan Constitutional Court ruled out that compulsory vaccination does not violate the right to education. Those parents who consciously object vaccination can pursue individual teaching or homeschooling. Hence, a legal precedent for toughening compulsory vaccination has been already established in the CIS. Will Belarus change its healthcare policies? At present, the situation with public health in Belarus is within the norm. The vaccination coverage of Belarus against major diseases is around 96–98 percent of the total population. Certain vaccine-preventable diseases, such as polio and measles, have been absent in Belarus for several decades. Diphtheria was the last major epidemic, which affected Belarus in the mid-1990s. The diphtheria outbreak occurred as a result of organizational disruptions within public health institutions after the break-up of the Soviet Union. Yet, Inna Karaban, Belarus’s chief epidemiologist, said that a significant proportion of those affected by diphtheria refused vaccination in the 1980s. In the 21st century, the major concern for Belarus is the growth of more resistant forms of tuberculosis, in particular, MDR-TB. High levels of smoking and alcohol consumption have contributed to MDR-TB’s development. The Ministry of Health announced a state-run “Tuberculosis” programme for 2016–2020, which focuses on MFR-TB treatment nationwide. Yet, combatting resistant forms of tuberculosis also requires mass anti-alcohol and anti-smoking campaigns. To conclude, while the situation within Belarusian healthcare is not critical, there will be no rapid legislative measures. By November 2017, approximately 35 percent of Belarusians have voluntary vaccinated themselves against the flu. This shows a high level of trust towards national healthcare institutions. Nevertheless, the Ministry of Health should trace the online anti-vaccination sentiment and organize public campaigns to combat prejudices. Cases of post-vaccination complications should be adequately addressed. The attitude of medical staff to hesitant parents must also improve. Medics should find the right words to explain the significance of herd immunity to the nation.